The Student Roster Report will list each student actively enrolled in a class/season. You will find the reports under Report Menu. 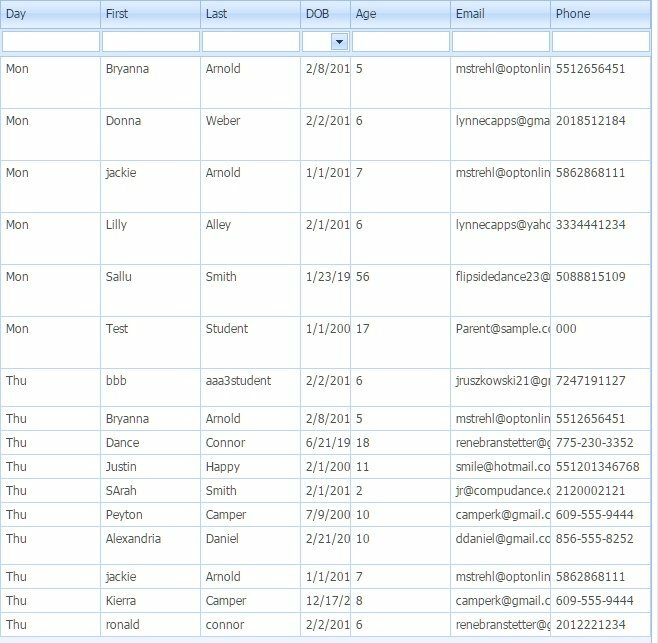 Student Roster by Student – Data is grouped by Student. This means, you will see each student’s classes. If you have an email Student Schedule Customization, it is found here. 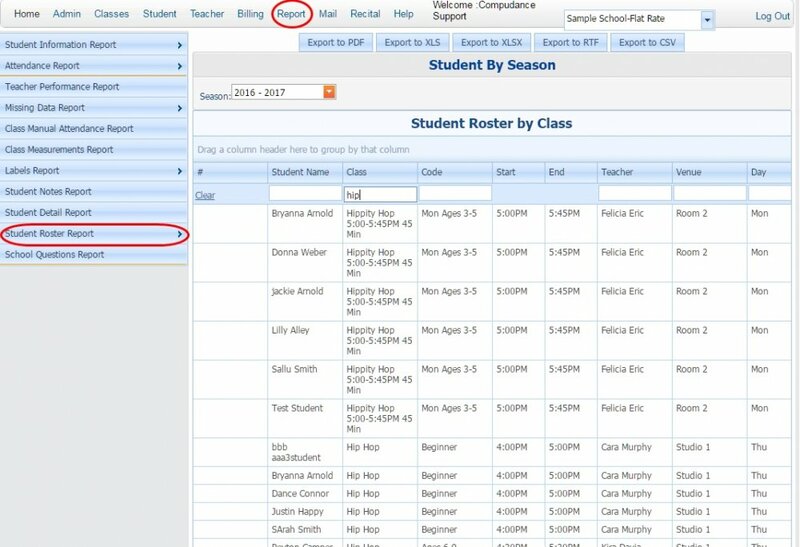 Student Roster by Class – The data is sorted by class name. Student Roster by Group – This will list all active students by the group they are in. All three of these reports can be exported, filtered, sorted and grouped by the admin or staff user.